Welcome to Pomeroy Ice Cream. In late 2017/ early 2018, building work started on our new Ice Cream production room. 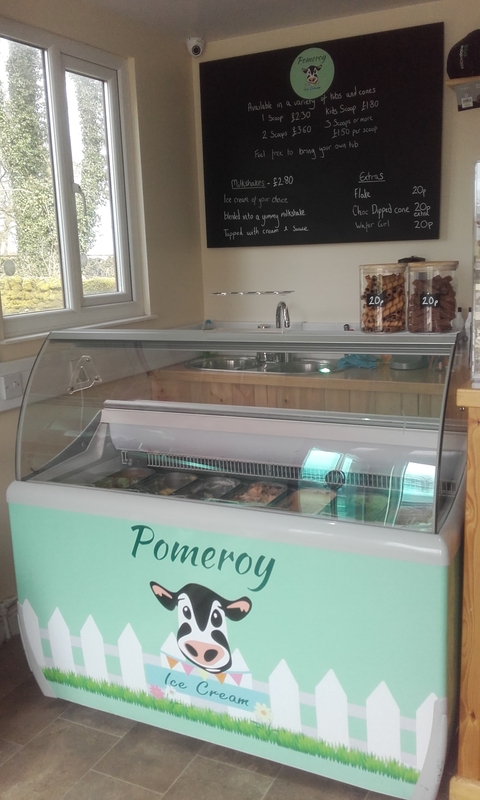 We converted a farm building, and fitted it out for Ice Cream production. We started Ice Cream production in early March 2018, testing small batches of different flavours, and perfecting our recipes. We use the milk from our own dairy cows, who are all born here on our farm, to make our ice cream. Everything is done here on the farm, from milking the cows to selling the ice cream. 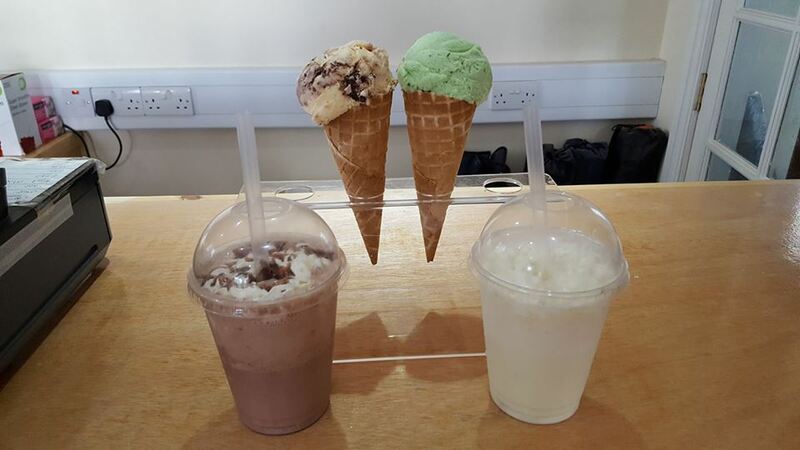 Our ice cream is now available in our Onsite shop in a variety of cones and tubs. All of our milk has to be pasturised to use in our ice cream, so we thought why not bottle it too? We stock our own pasturised Whole milk in our onsite shop. 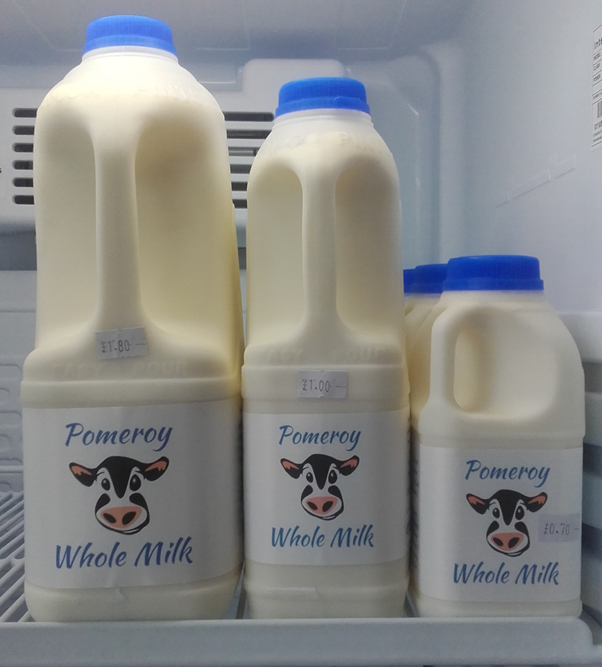 Our milk comes in 1 pt, 2 pt and 4 pt bottles all with our Pomeroy logo on the front. Our dairy herd can often be seen in the fields around the farm, you might even encounter them on the drive way on the way to the shop! Aswell as our lovely ice cream and milk, we also stock some other interesting products. 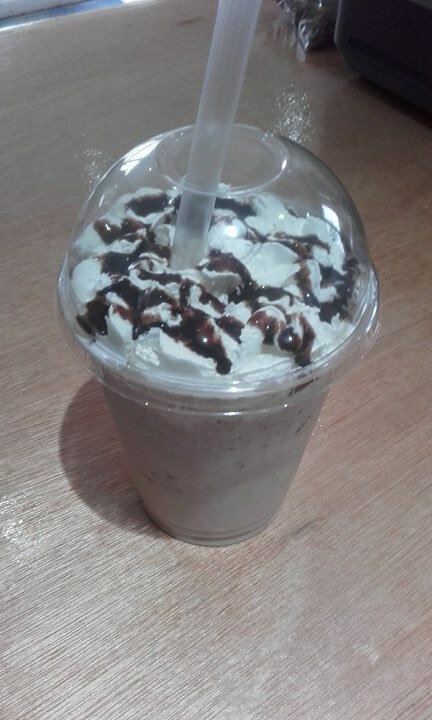 Below is one of our own milkshakes, made to order at our shop. These are made with 2 scoops of your choice of ice cream flavour, some of our own whole milk, and are available as they come or with whipped cream and sauce topping. 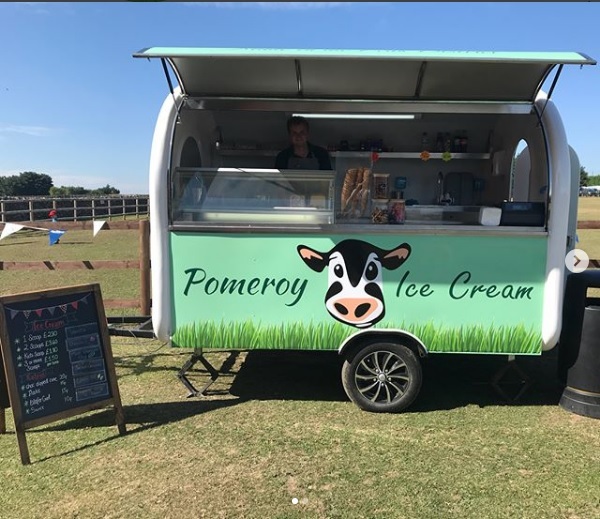 We also sell our ice cream from our ice cream trailer. This can be found on the High Peak Trail during summer weekends. We also do events in it, and it can be hired out for any special occasion. Wrapped in our trademark green, with our cow logo, it really does stand out. Why not come and visit us and try our ice cream for yourself!